Nothing could be more comical than Hegel’s development of private landed property. According to this, man as an individual must endow his will with reality as the soul of external nature, and must therefore take possession of this nature and make it his private property. If this were the destiny of the “individual”, of man as an individual, it would follow that every human being must be a landowner, in order to become a real individual. Free private ownership of land, a very recent product, is according to Hegel, not a definite social relation, but a relation of man as an individual to “nature,” an absolute right of man to appropriate all things (Hegel Philosophie des Rechts, Berlin 1840 p 79). This much at least is evident: the individual cannot maintain himself as a landowner by his mere “will” against the will of another individual, who likewise wants to become a real individual by virtue of the same strip of land. It definitely requires some thing other than goodwill. Furthermore, it is absolutely impossible to determine where the “individual” draws the line for realising his will – whether this will requires for its realisation a whole country, or whether it requires a whole group of countries by whose appropriation “the supremacy of my will over the thing can be manifested.” Here Hegel comes to a complete impasse. Here, Marx is mocking Hegel for leaping from appropriation in general (i.e. re-production) to a specific social form of ownership: private or exclusive ownership. The former is a material condition of life; the latter is a social form that the former adopts transitorily under certain historical circumstances. Of course, Marx is not rejecting the notion that the drive to appropriate the world is materially necessary for any society to exist. He is only showing that the drive to appropriate, when it takes the exclusive form of ownership, becomes self-contradictory and, hence, limited. How? Our drive to appropriate vis-a-vis nature is one thing. There, the only limit is the productive force of our collective labor. However, if my drive to appropriate is at your exclusion and your drive to appropriate is at my exclusion, then our so-called “absolute rights” (Hegel) clash, cancel out, annul each other. The specific social form of appropriation (I reserve the term ownership to refer to these forms) is an emergent social structure. It emerges from certain types of repeated interaction among the producers. I have elaborated somewhere else the layered nature of this social structure, with layers that are interlocked. It is very common that people may hold the illusion that exclusive ownership, somehow, endows the owner with infinite powers or, in Hegel’s term, an “absolute right.” In fact, I say, the car does not grant you the power to violate the laws of physics. You cannot fly on a car, because the car does not have the physical, mechanical, etc. properties that would make the object take off and fly. You can only use the car in ways that the physical properties of the vehicle allow it to perform. At a given point in time, nature imposes constraints on our powers, and those constraints appear as absolute as a granite wall. We may be able to circumvent them, but that takes time and resources — ultimately some portion of the productive power of our labor must be invested today to advance our productive power in the future. But that is not the only obstacle to our possible design or intent in using the car. In a capitalist society, a society of markets embedded on a foundation of gaping social inequality, there are serious economic barriers to the individual powers that accompany the exclusive ownership of the car. Say that the car owner wishes to sell the car in the market: Can she sell the car for $1 billion? Very unlikely. Trade is a voluntary exchange of commodities. The owner(s) of the $1 billion would have to consent in paying such an amount of money for the car. It is not only nature that raises barriers to the car owner, but also the rest of society — e.g. potential car buyers in the market. Their wills are involved as well. Exclusive ownership is socially constrained by, inter alia, economic conditions (e.g. market conditions). Clearly, the economic barrier is much “softer” (less “absolute”) than the natural barrier, but it is hard alright. But that is not all. There are also legal obstacles that condition or constrain the exclusive ownership of the car. You cannot drive without a state-issued license; or you can, but you are then exposed to penalties. You cannot use the car as a weapon against others; or you can, but then you’re exposed to severe punishment. You cannot park the car wherever you wish or drive it at whatever speed you desire, even if the car mechanically can run at such speed, etc. The legal code, implicitly or explicitly, stipulates the specific rights of ownership the legal owner of the car is entitled to, and also the obligations that accompany car ownership. The obligations of the car owner (e.g. not to use the car as a weapon, not to park it in reserved space, etc.) are immediately rights granted to the rest of society: Pedestrians have a right to safety on the streets, etc. And, vice versa, the rights of the car owner are granted at the expense of the rest of society. In other words, your rights of ownership, the rights that turn you into a wealthy person, are my obligations, i.e. they make me poor! As I wrote in my previous post, insofar as rights are (and they are, necessarily) rights of “ownership,” claims over specific pieces of the totality of wealth in society, then the granting of rights is necessarily the assignation of financial assets to the beneficiary — and, therefore, the parallel assignation of financial liabilities to others. The totality of legal claims over society’s existing wealth (productive and consumptive wealth: the stocks of natural resources, produced means of production, consumption goods, and labor power), i.e. the financial superstructure of society, can shift its composition as legal claims are created, transferred among individuals (via trade or not), redeemed, left to expire, etc. However, in and by themselves, these shifts cannot alter the level (stock) of material wealth that exists in society at that given point in time. Wealth must be produced the hard way: by combining natural resources, produced means of production, and labor power in adequate proportions. An existing financial superstructure may facilitate or impede this from happening. In this light, the test of historical rationality of this financial superstructure overall is its ability to ensure that the productively wealth of society is used efficiently, to ensure that the labor force is fully employed, that society’s overall welfare is optimized, etc. The crisis unleashed by the capitalist financial meltdown of 2007-2009 is a testimonial to the drastic historical limits of the existing financial superstructure and the economic foundation beneath it: capitalism. But back to the social barriers that define and contain ownership. The ones above are not all. There are also ethical and aesthetic constraints that push back against the exclusive owner of the car. They are of much softer nature, but she cannot (without a cost) race her car noisily in her neighborhood late at night or display obscene images on her car, etc. The social nature of exclusive ownership, which Marx and his followers, emphasize clashes frontally with the liberal (and conservative libertarian) notion of “natural rights.” Again, to the extent a natural right has teeth, it is undistinguishable from social power, i.e. from might: the productive power of labor brandished to ensure that the owner excludes others from the disposition over the car without her consent. 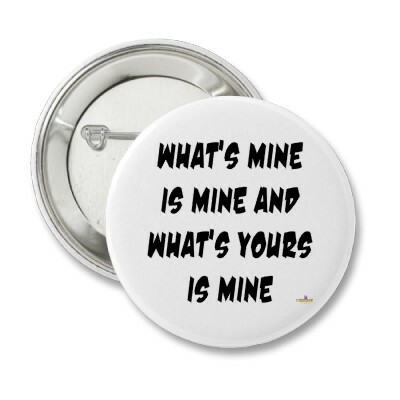 Ownership is not nature, it is a social structure. But why, then, is the exclusive form of ownership (so-called “private ownership”) so pervasive and so robust in the civilized human history? What are the conditions that make the exclusive form of ownership so successful, historically speaking? That will be the topic of a future post.